Cadillac owners don’t settle for ordinary. As a brand that delivers the ultimate in American luxury and performance, your car deserves the best in car care and maintenance. But the style and refinement of owning a Cadillac come with a price. And that’s why your car deserves commitment and attention to detail. 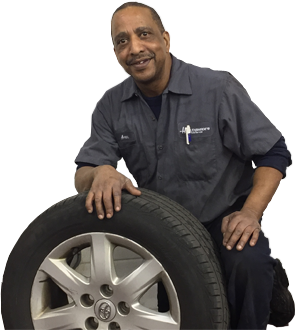 Our ASE-certified technicians in Towson, MD have the experience and equipment to deliver the expertise your Cadillac needs. We have been serving drivers in the Baltimore metropolitan area for four generations. Prevent costly repairs with scheduled auto maintenance services. Our ASE-certified technicians conduct full-range Cadillac maintenance services to extend your car’s longevity. Our preventative maintenance services help you save time and money so you can keep your car running efficiently in the years to come. Our services include oil changes, HVAC services, battery, starting, and charging services, fuel system services, and more. Get to your destination feeling refreshed and energized. A properly working air conditioning system helps you maintain an ideal indoor temperature. We service Cadillac auto HVAC systems in Towson, MD. We inspect and diagnose your heating and cooling system so you can stay comfortable on the road. Count on our team to address your car’s heating and AC problems quickly and efficiently. The drivetrain is a complex component of your vehicle that accounts for wheel movement during steering. The system connects your transmission to the drive axles, allowing for smooth changes between gears. We perform Cadillac drivetrain diagnosis in Towson, MD. After identifying the problem, we complete the repair work properly the first time. Steering and suspension systems work hand-in-hand to help you navigate your car smoothly. When you turn the steering wheel, the system directs the energy to your wheels and axles, while the suspension keeps your car’s tires firmly on the road. The moment you notice problems with either system, schedule a Cadillac suspension and steering inspection service with us. We ensure your safety by keeping both systems up to every twist and turn the road may bring. Car owners in Towson, MD choose us for their Cadillac automotive needs. We have been featured in ABC2 News and the Maryland Business Review.